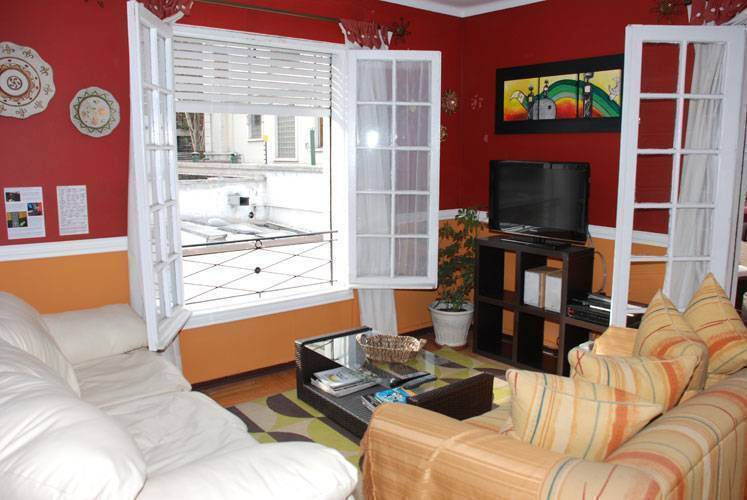 Best located, very safe, walkable distances and all services around. Good vibe and homey, friendly and artsy atmosphere. The most complete services and breakfast! 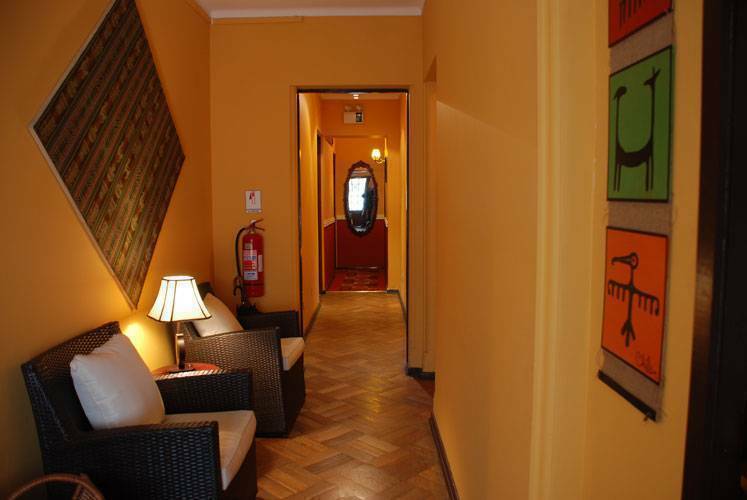 Our hotel was born as an alternative way of lodging, an option to all those travellers who look for prime attention along with the standard services of a hotel without the impersonality which characterize the greater establishments, keeping the comfort and quality as well as the human closeness. Adjectives that defines what a “boutique hotel” is, adding the great social plus of it as it gives the chance to, natural and spontaneously, interact with other guests without breaking the privacy. To provide a personalized and emphatetic service yet keeping high quality premises and its services is our main priority, premises which have been conceived for the relax and entertainment. The homey warm feeling is guaranteed!. Our place is a 40’s residence, where we have felt like creating a new air, staying away from the classic concept applying a special and “native” identity, with typical themes from throughout Chile. Conceived as common spaces for the relax and recreation, our Hotel delivers either cozy and amusing spaces but also the time to meet other or choose the quietness and privacy in the best vibe and atmosphere. 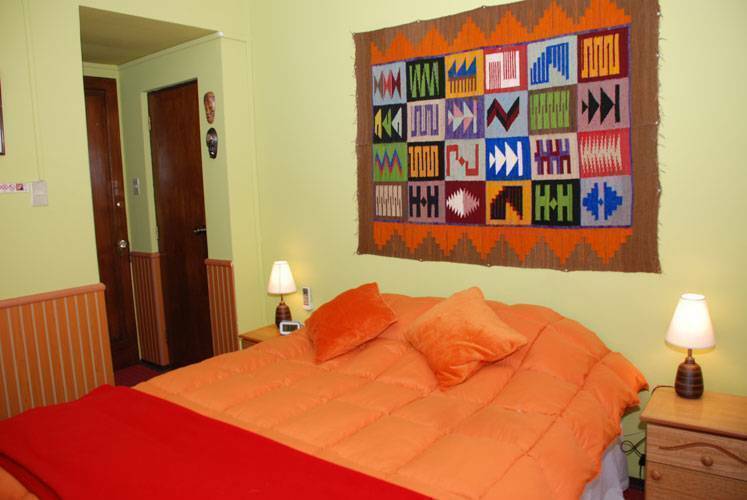 Our premises have been refurbished to offer the high standard that our guests look for, using vivid colors as well as modern themes and designs, an expression created by us to mix that with the native and chilean themes which identify us, resulting warm and uniques. That the guests feel like at their own house defines our ambition, therefore all the spaces and its services are fully available for our guests, without extra cost. 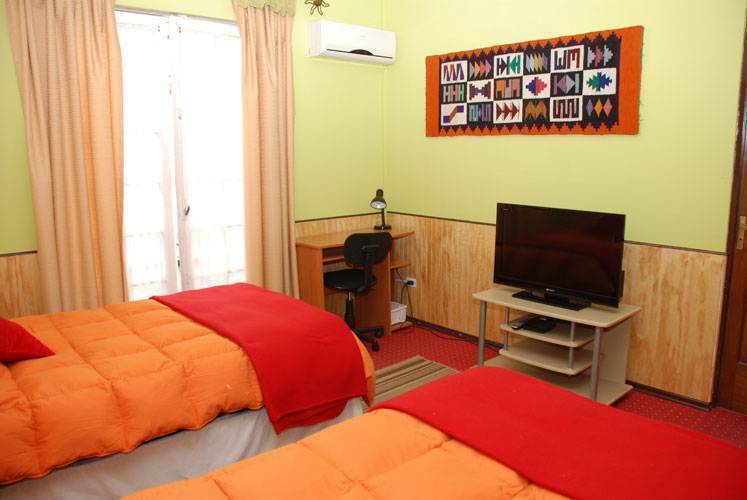 Comfortable beds for your rest and an excelent shower availability 24 hrs a day. 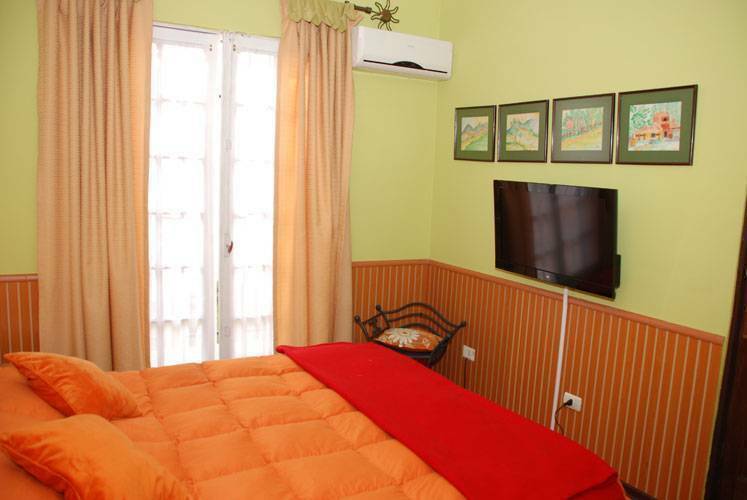 Single, Double, Triple and Twin rooms, even for 4, 5 and 6 guests. Private or Mixed. If your room lacks of Private Bathroom, you have an useful sink inside. Shared bathrooms just beside!. Each bedroom has closets and furniture. Closets (with lock), lockers and furniture. Heating in winter. Nicely decorated. “A few steps away” would be an ideal expression to define our excellent location. Providencia, one of the best districts/communes within Great Santiago, recognized for its high life quality, safety and culture, facts which make our neighborhood the perfect and desired place to spend your stay in Santiago. We take the pleasure and particularity to be at a residential neighborhood, quiet and safe yet at the spot of everything; a few steps away from Providencia’s main cultural and comercial zones, where the frenzy urban flow mixes the calm of the residential life, redoing the handy concept. Our neighborhood is also quite cosmopolitan, adjective which confirms how charm it is, consolidating itself as a favourite place to stay for foreigns. Bakery, cakes, sandwichs, drinks, coffe, everthing! •	Full payment for your stay is required upon Check-In. •	Credit Card required to guarantee reservation. Must provide number, security code and expiration date. In person, you may guarantee by cash (paying 1 day in advance)*. The Hotel reserves the right to check the validity of the provided card. •	Reservations must be cancelled no later than 24 hours prior to arrival to avoid “No Show” charge of 1 night on your credit card. It also applies when you cut short your stay. •	We do not refund money. •	“Early Check-in” and ‘Late Check-out” are subject to availability. •	Foreign guests are exempt of VAT when paying in dollars and showing passport. 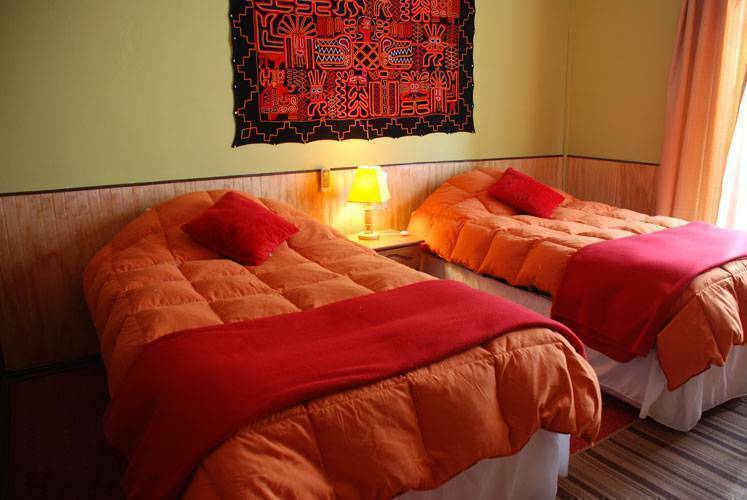 Chilean guests pay 19% of VAT. Stay payment in chilean currency is subject to tax charge. •	Rates published in our web page are exclusive to bookings done through the site. They are in American dollars and subject to taxes for chilean guests or payment in chilean currency. •	One child under 8 years old shares bed with his parents without cost. A second child pays additional bed. Children over 8 years old pay adult rate. •	Our Hotel do not change foreign currency. •	Smoking inside is not allowed, but there exist smoking areas. •	The Hotel is not responsible of lost belongings. Please lock them in by using the safe box or your closet, both in the room. •	Transfer to and from the airport is to be arranged through e-mail or telephone. At the airport, once leaving the glassy screen of the terminal, our Transfer will pick you up, if the service was previously arranged or included in your reservation. At the first level of the terminal you can get transport advice by the help counters. You may take a taxi towards our Hotel; fares should fluctuate between 15. 000 – 20. 000 pesos (32 – 42 USD). Make sure it is an official taxi (they are black and white and must have a meter). Transvip and Tur-transfer also offer transport service, they work 24 hrs a day. Rates are from 6. 000 pesos aprox (13 USD). Centropuerto and Tur-Bus Airport offer low rate transport, 1. 000 to 2. 000 pesos (2 to 4 USD). Their itinerary fluctuates between 6:00 am and 23:00 pm. We recommend you to take the subway at Pajaritos or Los Heroes stations (both combine with Metro Line 1), buy a ticket (0, 7 USD per travel aprox) or a Bip Card (2, 5 USD and a minimun charge of 2 USD). Take the train to Los Dominicos direction, eastwards and get to Los Leones station, get off through the southern exit (there is a Mcdonalds shop), turn onto Las Bellotas, a semicircular tree lined street then turn right to Suecia ave (there is an ‘ING’ building) and finally turn left on Lota st. We are at some steps ahead.